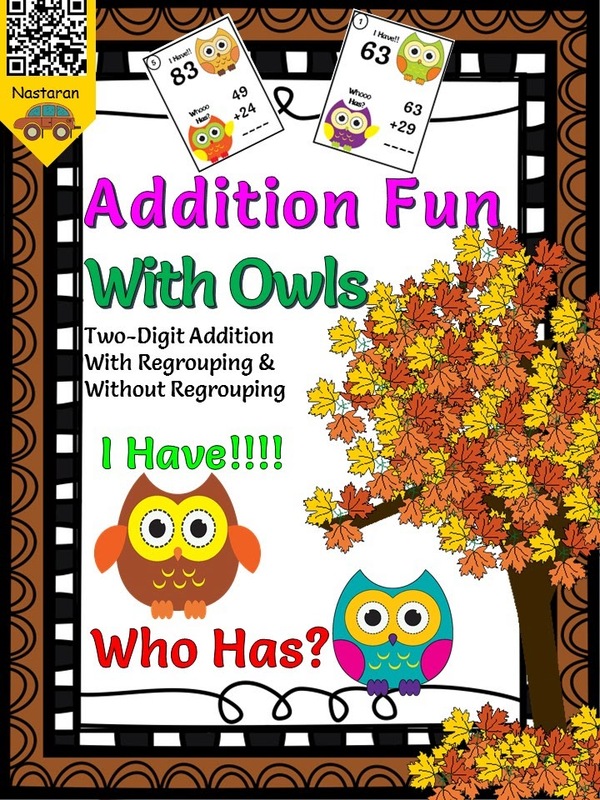 Addition Fun With Owls: Two-digit Addition with Regrouping & Without Regrouping ,I have! Who Has? . This packet includes 40 game cards.Each student needs to solve the two-digit addition fact and read the answer aloud. "I have! Who has?" is a fun game for students to review two-digit addition. Grab this product from my TpT Store.